In the movie Trading Paint, when their winning streak begins to fail, legendary father and son racing duo Sam (John Travolta) and Cam (Toby Sebastian) have a falling out. A rival racing giant takes advantage of this rift and offers Cam a lucrative opportunity racing for the adversary. Cam accepts and the gap between father and son grows even bigger. 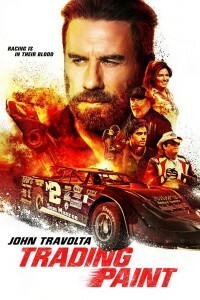 Engines rev and sparks fly as the two are set against each other in an ultimate high stakes race and the most dangerous competition between father and son.